The IBM laser printer and laser printer E are compact, non-impact desktop page printers designed for attachment to IBM Personal System/2 products, IBM personal computers, IBM displays, IBM and many non-IBM systems. They are capable of producing letter quality text and graphics at up to 300x300 dpi, and are suited for applications that do not exceed 20,000 ppm (12,000 ppm for the laser printer E). 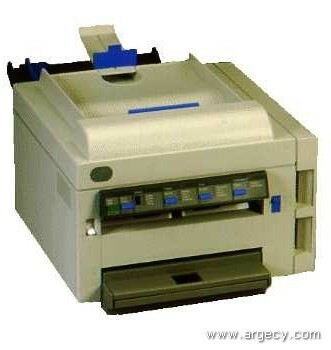 An excellent workstation page printer for use in office and business professional environments. -Support for IBM PPDS, Hewlett-Packard Laserjet series II emulation, and plotter emulation (IBM 7372 and HP 7475A color plotters).